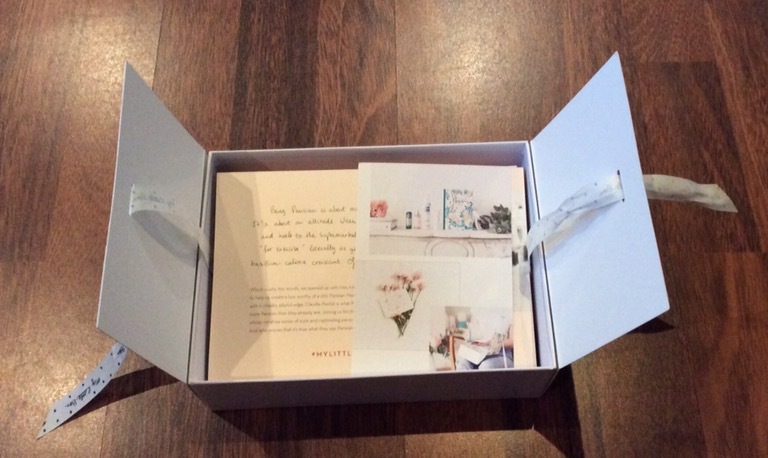 I received my September My Little Box today – it is one of my favourite monthly subscription boxes – it is a Parisian based monthly subscription box which costs £14.95 (inclusive of p&p) per month. Each month My Little Box has a different theme and the box is always beautifully illustrated in line with that theme. 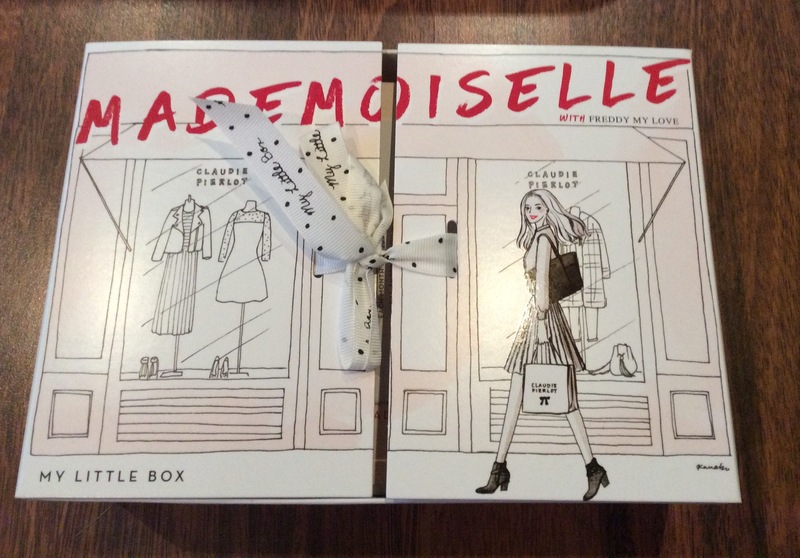 This month My Little Box teamed up with French clothing brand Claudie Pierlot to help create their chic Parisian ‘Mademoiselle’ themed box. I love the different box design this month, it has a flap front opening with a My Little Box ribbon closure. 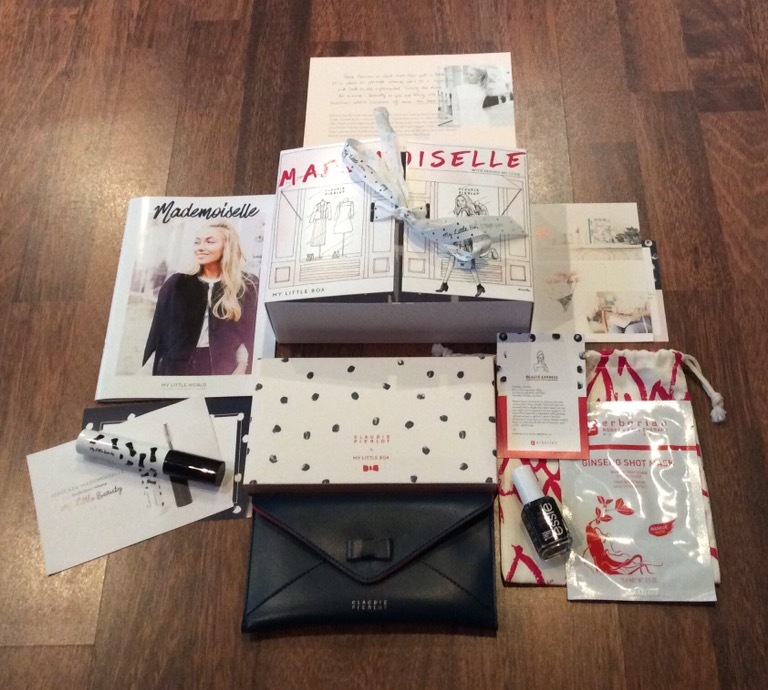 My Little Beauty Mademoiselle Volume Black Mascara – full size – £14 – (love the packaging – have not opened it yet as already have so many mascaras opened but will do a short review when I try it). I am v happy with the contents of this months box , even though only one accessory item I am happy as love it, I will also use everything. I also love the different box design this month too. I would definitely recommend subscribing to this box as it gives you something slightly different / contains a variety of items and as always a lovely surprise each month. In addition if you use the promotional code MYLITTLECLAUDIE you will receive £3.95 off your first box (October 2016 edition), with every new subscription – offer valid until 5th October 2016. Like the idea of this box being so different each month.the wallet looks good as you say.